A study published in Nature Medicine found a link between hormonal imbalance in the womb and PCOS, specifically prenatal exposure to a growth factor called anti-Müllerian hormone (AMH). The team, led by Paolo Giacobini at the French National Institute of Health and Medical Research, realized levels of AMH were 30 percent higher in pregnant women with PCOS than those without. Because there is a hereditary component to the condition, they decided to test whether or not women with this hormonal imbalance give birth to daughters with PCOS. 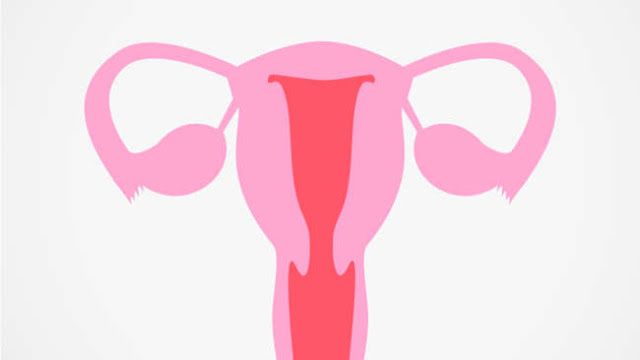 “It’s a radical new way of thinking about polycystic ovary syndrome and opens up a whole range of opportunities for further investigation,” explained Robert Norman from the University of Adelaide, Australia, reports New Scientist. For the study, the researchers injected pregnant mice with AMH so that they had a higher than normal concentration of the hormone. Indeed, they gave birth to daughters who later developed PCOS-like tendencies. These included problems with fertility, delayed puberty, and erratic ovulation. According to the researchers, the added AMH appeared to prompt the overstimulation of a particular set of brain cells called GnRH neurons, which are responsible for managing the body's testosterone levels. Hence, the offspring displayed higher levels of testosterone. The result: a "masculinization of the exposed female fetus" and a "PCOS-like reproductive and neuroendocrine phenotype" by the time they reached maturity. But, excitingly, the team weren't just able to determine the cause of PCOS, they were able to reverse it (in mice, anyway). To do so, the researchers dosed the polycystic mice with an IVF drug called cetrorelix, which made the symptoms to go away. This could be great news for the millions of women with the condition, often characterized by excessive hair growth, hair loss, acne, and obesity, though symptoms can vary from patient to patient. It is also the most common cause of infertility. Next up, the team is planning to trial the drug in humans. Tests are planned to take place later in the year. “It could be an attractive strategy to restore ovulation and eventually increase the pregnancy rate in these women,” said Giacobini, reports New Scientist.